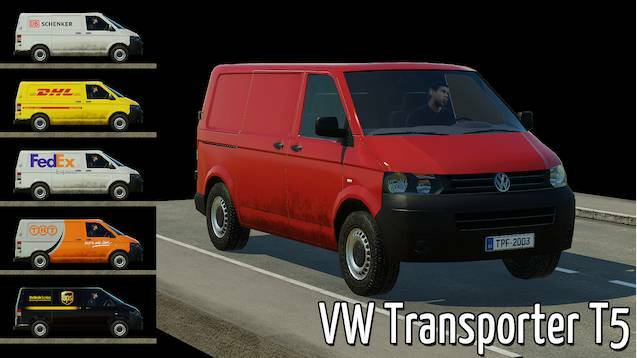 Mod contains VW Transporter T5 as cargo van and also will appear in traffic from year 2003. Ploppable asset is also available. Price and running costs are defined by the game automatically.